Labrador retrievers are highly intelligent, empathetic, compassionate and trainable. 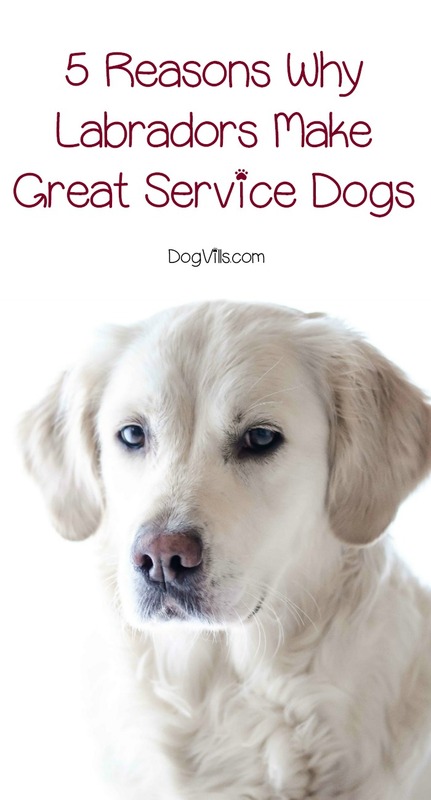 All of these traits make them ideal service dogs. Because of their gentle and caring nature, they make perfect companions. While many breeds are used as service dogs, Labradors are one of the most popular. In this article we will discuss why Labradors make great service dogs. Most Labradors have very few (if any) aggressive tendencies. They are generally welcoming of all creatures, both human and animal alike. It is important for service dogs to be caring of their owner, but not overly protective. Labradors will welcome any new guest into the house with gentle interest. Labs love to please their owner, so you can expect to be showered with affection and attention. They will look at you like you’re the best person in the world (especially when you have a treat in your hand)! Their mild mannered nature also means they are great around children. Labs are known for being patient with kids, even when they’re being loud or pulling on your dog’s tail or fur. Bred to be retrieving dogs, Labradors are used to taking orders from their owner. They catch on quickly to new commands and tricks. Labs are highly motivated by food, which helps speed up the training process. If you train a Lab when they are a puppy, they will follow your commands for life. Even older Labs can be taught new tricks! Many tasks that service dogs perform require the animal to assess a situation and act accordingly. Service dogs used for leading the blind encounter many obstacles throughout the day that they must think their way through. A high degree of intelligence is required for any dog that has to make decisions they weren’t specifically trained for. We all know that a Lab can hear you open the refrigerator or a pack of cheese from the other side of the house, but their acute senses go beyond food detection. Labs can be trained to sniff out a variety of things including drugs, explosives and humans. 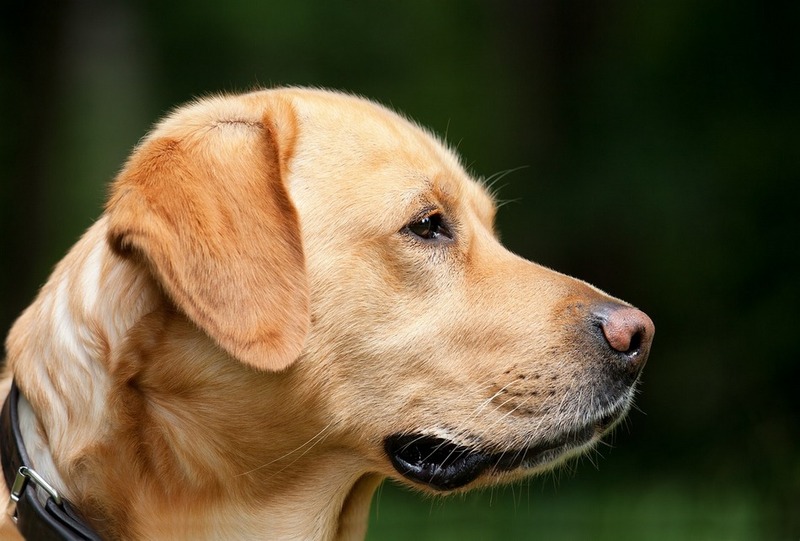 Some Labradors can even detect some forms of cancer just by using their nose. They can also sense upcoming events such as when someone is going to have a seizure or when an earthquake is about to occur. They truly are a remarkable breed! For jobs such as working with the police, military or rescue operations, bravery is a key component of the duty. Labs aren’t the type to back down from a difficult challenge or a scary situation. When you need a true pack leader by your side, Labs are the perfect choice. They will listen to your commands while also being assertive with the task at hand. If you consider all of the qualities discussed in this article, you can easily see why Labradors make great service dogs. They have the perfect combination of intelligence, compassion and bravery to complete almost any task. No matter what job you sign them up for, you will not only have a great worker, but also a loyal companion! Do you have a Labrador as a service dog? Share your thoughts and experiences!